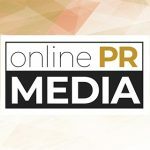 Online PR News – 26-September-2012 – Rohnert Park, California and Ahmedabad, India, – IQR Consulting Data Analytics announced the appointment of Karan Bhalla to the newly created position of company director. Bhalla will be responsible for the development and implementation of the company’s business strategies worldwide, reporting directly to Rahul Nawab, co-founder of IQR. He also becomes part of the company’s executive team which provides data research and analytics to assist companies in understanding their marketplace and to provide a basis for how to react to changing conditions. This new position is part of the expansion of the IQR Consulting from banking and financial sectors which were some of the earliest business segments to take full advantage of the increasing importance of data analytics. The company also announced that it will direct an educational session on how data analytics can be used by casinos to increase revenue and attract the most profitable guests at Global Gaming Expo, (G2E) the largest worldwide event in the gaming industry. The seminar is entitled “Data Mining: Discovering Gold In Your Database” and is scheduled for the first day of the expo, October 2 in Las Vegas. Commenting on the appointment, Nawab stated: “With his outstanding track record with a variety of companies, brands and sectors, Bhalla will be a major asset not only for us and our current clients but even more as we continue to develop new markets. " Most recently Bhalla served as a consultant to several top global corporations including American Express and British Telecom. For the latter, part of BT Group, one of the world’s leading communications services companies, Bhalla was responsible for developing a process to analyze financial results and identify trends at a consolidated global level for their largest worldwide contracts. Previous to this, Bhalla lived in New Delhi and served as senior vice president of finance and strategy for Nitco Logistics Ltd, one of the large logistic service operators in India, where he was in charge of research, analysis and overall corporate strategies. As an associate director for another consulting company and based in Virginia, Bhalla worked on projects for Fannie Mae, the U.S. government-sponsored enterprise involved with the housing and mortgage markets. He started his now diverse career at Capital One in credit risk and review. A graduate in Management Information Systems and Accounting from Virginia Polytechnic Institute and State University (Virginia Tech), Bhalla was subsequently awarded an MBA in Finance from the University of Maryland. He will be based out of an office in northern Virginia. IQR Consulting Data Analytics provides research and analysis that has helped Fortune 500 and small to medium sized companies to transform data into decisions. Established in 2008, the company started by providing its data analysis services in to the banking and finance sector and has grown to include casinos and other industry sectors. IQR provides business analytics support using an integrated onsite/offshore business model from offices in the US and India. IQR provides expertise in analytics solutions, modeling and forecasting analysis, marketing research, database design and support, product reviews and assessments, custom reporting, business strategy and consultation. The company is named for its mission to deliver Insightful Quantifiable Results. A white paper on how analytics can change the game for casinos entitled Analytics: A ‘Moneyball’ For Gaming is available.